While it’s important for business website content to be optimized for search engines, don’t forget that your customers are communicating and making purchasing decisions every day on social media and networking sites. Unfortunately, few companies excel at incorporating both Search and Social Media Optimization in their content strategies. On Sept. 6 – 9, Content Marketing World is hosting a lineup of over 50 presenters including elite B2B, B2C, small business and non-profit marketers and thought leaders speaking on using content marketing to drive and retain business. 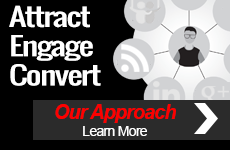 One session will take a deep dive into content marketing for search and social. This presentation is designed to equip content marketers with an effective process for any organization, large or small. 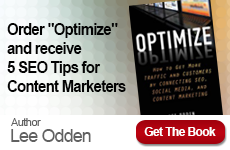 TopRank Online Marketing CEO Lee Odden will present on how content marketers can use search and social media optimization in tandem to ensure that content is both findable and topically relevant to an increasingly social media savvy audience. He will show attendees how applying both keyword research and what is known about the customer in developing an all-encompassing content plan drives success online.